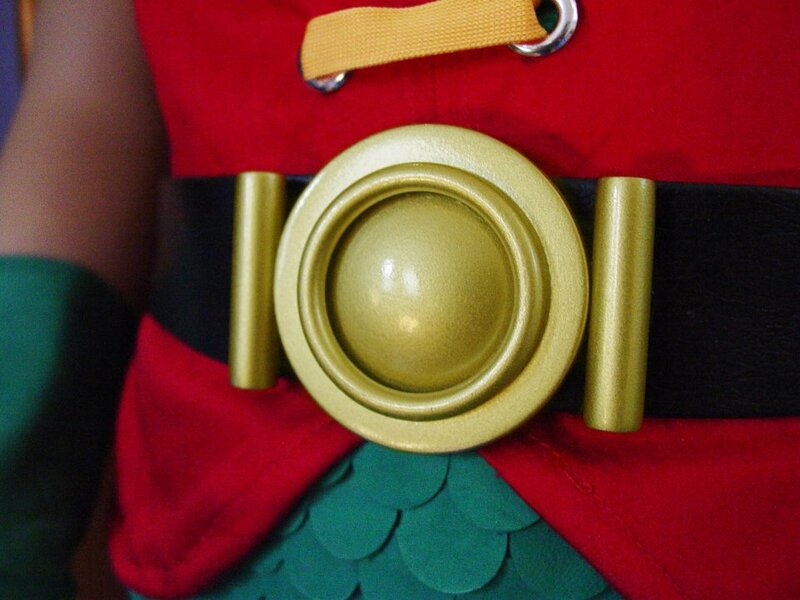 Employing a modest degree of artistic license, Costume Designer Roberto Williams fabricated the belt buckle for Robin's utility belt in a design the closely approximated the buckle configuration seen in the classic comic books. Mr. Williams employed the use of "found items" including two plexiglass rods, a 2" diameter plastic "O" ring gasket, and a 2 " diameter half-moon winter coat fashion button. The entire assembly was spray painted in 5 coats of bright gold and then clear-coated with 2 coats of clear gloss.